Police and prosecutors are taking on far more domestic violence cases, yet still can’t seem to secure more successful convictions due to various inefficiencies in their departments and the courts in general, according to a report released Wednesday by the Honolulu Office of the City Auditor. The problems outlined in the audit are myriad and complex. So, too, are the recommendations. Much of the problem has to do with the nature of domestic violence. It’s often under-reported, victims are prone to recant and when police do respond there are numerous ways a case can proceed, not all of which end in an abuser’s arrest and conviction. 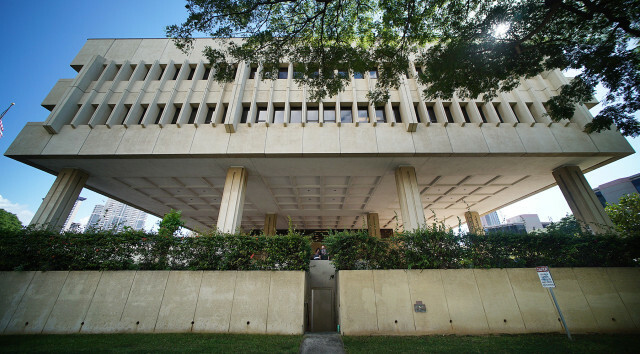 Hawaii’s First Circuit Court in Honolulu. For instance, the audit found that fewer than 14 percent of the Honolulu Police Department’s felony domestic violence cases result in prosecution. The report also found that the state’s family courts are overburdened. There aren’t enough judges or courtrooms to handle the sheer volume of domestic violence cases, which can result in delays and dismissals because of violations of a defendant’s right to a speedy trial. The audit highlighted a 2014 change to the state’s domestic violence law that classified any physical abuse that occurred in front of a minor younger than 14 as a felony. 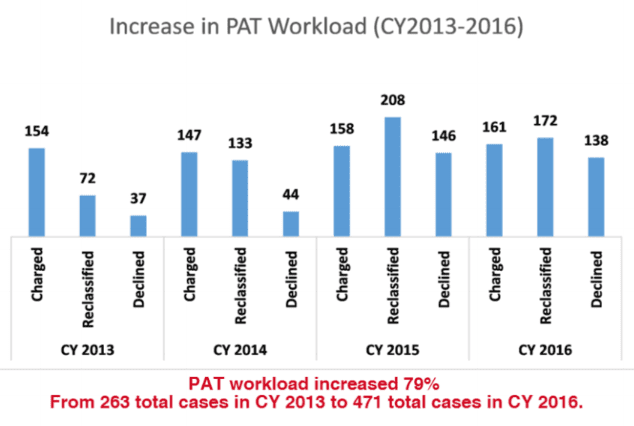 That change in the law effectively increased the workload for police and prosecutors. 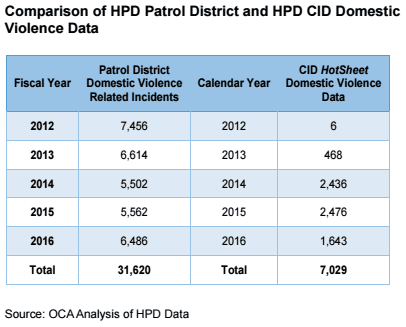 The audit found that HPD’s Criminal Investigation Division — which handles domestic violence and child abuse as well as murder, car theft and sexual assault — saw its domestic violence caseload increase by 615 percent from 215 cases in 2013 to 4,603 in 2016. Nearly one-fourth of the new cases were due to the 2014 law change in the law. City prosecutors assigned to domestic violence cases, on the other hand, saw their own caseloads jump by about 80 percent, due in part to the law change. But the audit also notes that the numbers are sometimes difficult to follow. There’s a wide discrepancy between the number of domestic violence cases reported by HPD’s patrol unit and the number that are taken on by the investigation division. Both HPD and the Honolulu Prosecuting Attorney’s Office have been tracking domestic violence in different ways over the years, and they don’t always reconcile with one another. That can make it difficult for authorities to share information and track cases as they move through the judicial process. It also leaves public officials and others guessing as to how prevalent domestic violence is in Honolulu. According to the audit, the domestic violence unit in the city prosecutor’s office has struggled with turnover in recent years. From December 2014 to November 2016 there were seven personnel changes in the six-person unit that handled felony abuse and 16 changes in the six- to eight-person unit that takes on misdemeanor domestic violence. After a TRO is issued, it is assigned to one of the many substations within one of the eight patrol districts. Each substation develops its own method for administering, monitoring, and tracking TROs. For example, in one substation, TRO’s were entered into a handwritten log. Other patrol districts may use paper, spreadsheets, or some other method to track TROs. As a result, HPD staff and officers responding to a domestic violence incident in another patrol district may not be aware of the existing TROs unless the victim or someone else informed the responding police officer. That is, crucial data related to victim protection cannot be readily used to evaluate and ensure efficient and effective enforcement of the TROs. In a response to the audit, Honolulu Managing Director Roy Amemiya wrote in a letter that HPD has started to address the problems. HPD officials contacted by Civil Beat refused to comment on the audit. The city’s audit was in response to several high profile acts of domestic violence that played out in the media in recent years, particularly within the ranks of the Honolulu Police Department. Those incidents spurred widespread talk of reform, particularly among female legislators. At the center of that controversy was former HPD sergeant, Darren Cachola, who was caught on surveillance video in 2014 taking full-bodied swings at his then-girlfriend inside of a Waipahu restaurant. Cachola was never arrested or charged for the crime. The domestic violence caseload for city prosecutors has ballooned in recent years. Honolulu Prosecuting Attorney Keith Kaneshiro defended his office’s decision at the time not to prosecute Cachola. Then-HPD Chief Louis Kealoha also stuck up for his department, telling the media he would not “cave in” to political pressure. Kaneshiro said at the time that much of the criticism his office received was “uninformed and wrong.” He said there just wasn’t enough evidence to prosecute Cachola, in part because his then-girlfriend had told investigators that she and Cachola were play-fighting. The city auditor’s 88-page report touched on domestic violence in the ranks, but didn’t include any suggestions for what might be done to address the issue. Kaneshiro reiterated his stance on the Cachola case to Civil Beat on Wednesday when discussing the latest audit report and its recommendations. The prosecutor, who in November won another four-year term in office, said he agrees with most of the findings in the auditor’s report, particularly those related to bottlenecks caused by a shortage of judges and courtrooms. He said a recommendation to try to convince legislators to reverse course on their 2014 decision to toughen up the domestic violence law is not a good idea, however. Honolulu Prosecuting Attorney Keith Kaneshiro said he wants to work with the state judiciary and others to tackle domestic violence. 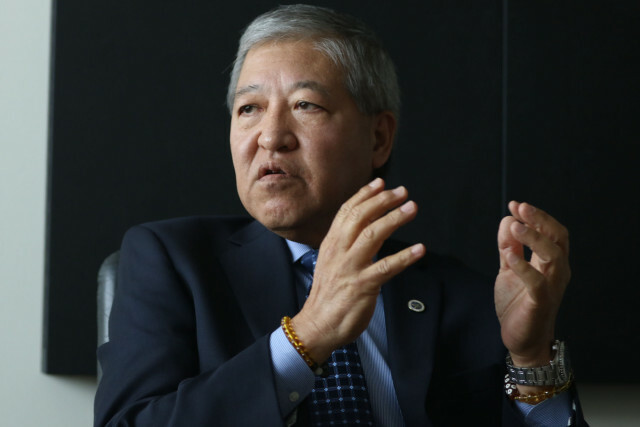 Instead, Kaneshiro said officials should work together to find a way to make it easier to punish abusers without relying on a jury trial, which he said can slow down the entire judicial system and result in more case dismissals. Cathy Betts, executive director of the Hawaii State Commission on the Status of Women, said the city’s audit report highlighted many of the domestic violence deficiencies in the justice system that she and others have been pointing out for years. She said HPD and prosecutors’ apparent willingness to blame the courts also highlighted a “lack of commitment” to address domestic violence seriously. Betts was on a Honolulu City Council task force that analyzed domestic violence and how city and state agencies were responding to it. 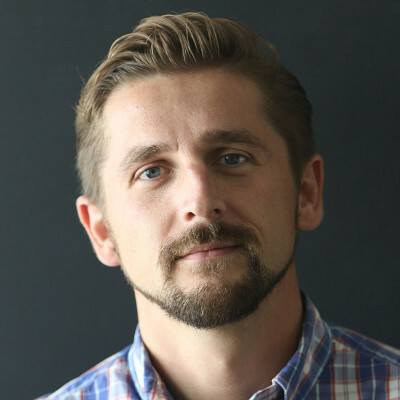 That task force released a report in December 2015 that outlined many of the same problems the city auditor found, including a lack of communication among agencies, inconsistent data collection and a shortfalls in holding offenders accountable. Betts said she hopes the auditor’s report will bolster the need for better discussions about domestic violence and its repercussions. She cited the recent death of Gerald Aikau, who police suspect killed himself after killing his 7-year-old son, Reef, earlier this week. Before he died, Aikau, who is the nephew of legendary Hawaii surfer Eddie Aikau, was in the midst of a bitter divorce with his wife, who had filed restraining orders against him for physical abuse.